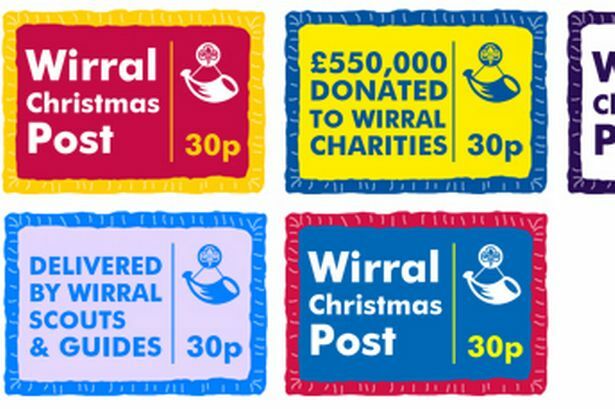 Donation from the Wirral Christmas Post! We would like to thank the Scout and Guides from the Wirral for their generous donation of £2000 to the UK North Blind Sailing Association! Thank you so much for all the effort that goes into this massive yearly fundraising event. We were recently asked by VI talk if we would be willing to share our charity with their listeners. VI Talk is for anyone who is visually impaired, knows someone who is or has a connection with an organisation or group that offers services to visually impaired people. Today our Chairman Robert Owen recorded our "About us" section for them, which you can listen to below. Please visit VI talk and listen to their Podcast. Alternatively you can listen to the piece, which is posted on our About us page. Bradbury Fields are hosting a Focus Low Vision Day. Optelec, Dolphin, Calibre to name a few, will be demonstrating equipment which will be available to purchase on the day. Local organizations will also be giving out information on services. Find out more about what this day will involve below. People often ask us, &apos;Why sailing?&apos; &apos;What are the advantages of sailing for blind people?&apos; We commissioned a survey to find out the answers. Here are just a few of the results. 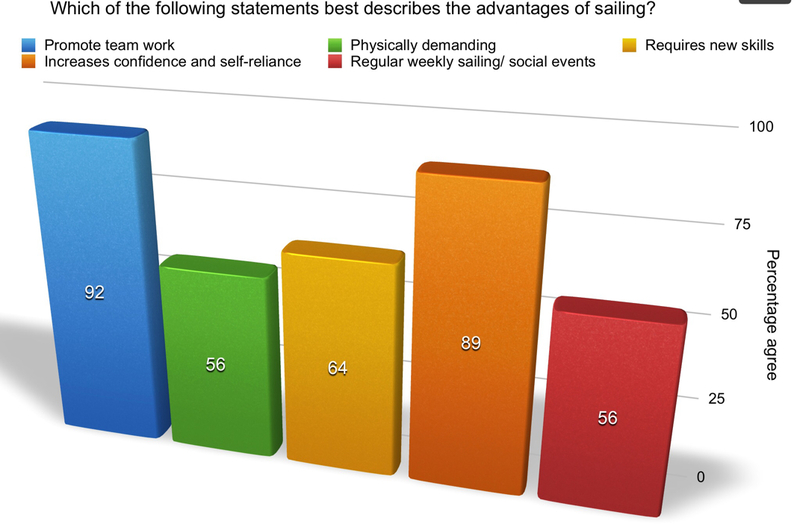 An astounding 92% of the people we surveyed believed that sailing promotes team work, with 89% of people agreeing it increases a persons confidence and self reliance. Many people even said the best thing about sailing is that it gives Visually Impaired people the chance to compete against able bodied people, in a very equal opportunity. 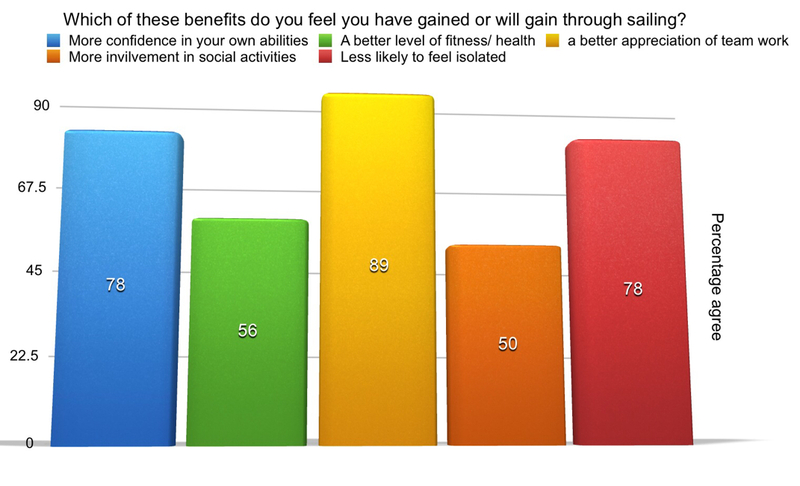 Furthermore, only 56% of people believe sailing to be physically demanding, indicating that is an accessible sport for all! Please find more results displayed via the bar charts below! Which of these best describes the advantages of sailing? Stephen Clarke, one of our sighted crew has decided to take part in the BRT Mersey Tunnel 10K to raise funds for the UK North Blind Sailing Association. If you attended our social event last Sunday, you will have had the opportunity to meet him (pictured left) and collect a sponsorship form. We urge you to support his efforts in any way that you can and return the forms to us as soon as possible. Without the generous support of Stephen and our other funders, our work would be impossible. If you would like to sponsor Stephen in his challenge, please email us for a form. Thank you to all who have donated and we wish Stephen the very best of luck with his 10K! All content on this site is held copyright by the UKNBSA and may not be reproduced without permission.